Nagorno-Karabakh’s (Artsakh) minister of foreign affairs has encouraged the efforts to step up the dialogue between Armenia and Azerbaijan, highlighting Prime Minister Nikol Pashnyan’s “constructive approach” as a positive impetus to future peace efforts. In an interview with the Armenian service of RFE/RL (Azatutyun), Masis Mayilyan appreciated especially Pashinyan’s tactics of avoiding pressing calls for Artsakh’s return to the talks as a precondition. “We will continue the dialogues on the level of both the countries’ leaders and foreign ministers, keeping also the re-establishment of the format high on our agenda. Artsakh must return to the negotiating table,” he said. Asked how he envisions such a return, Mayilyan proposed his own model for the distribution of roles. 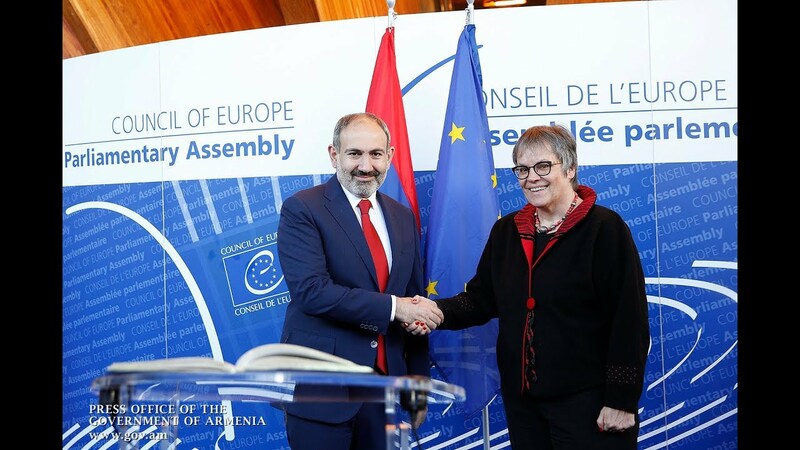 “This conflict encompasses five pivotal issues – dealing separately with the status, security, territories, refugees and the blockade – and most of them are within the competence of the Artsakh authorities. Hence clearly, the authorities of the Republic of Armenia cannot negotiate on such issues,” he said. Reiterating the call for the trilateral format, the minister noted that the early period of the peace talks (from 1992 until 1997 when Artsakh was a full-fledged negotiating party) saw the most tangible outcomes in the process. Asked whether the Artsakh authorities’ stance implies that they accept negotiations between Armenia and Azerbaijan without vesting those countries with the power to agree upon future compromises instead of them, the minister admitted that they hold on to similar approaches. “Yes, that’s what the logic behind the negotiations and the meetings implies. There are three parties but the negotiations involve only two main sides – the Artsakh Republic and Azerbaijan – as the key players. So it isn’t virtually possible to make any decision without [reinstating] the full-fledged format. The party which did not attend those meetings or the signing of a final document cannot possibly be urged to implement the arrangements reached between the other two,” he added. Mayilyan cited a similar precedent dating back to first President Levon Ter-Petrosyan’s tenure. “The co-chairs [of the OSCE Minsk Group] used to propose different scenarios – a package-based or phasal settlement or [the model of] a common state. And Armenia, by the way, accepted all the three options, with Azerbaijan being opposed to the idea of a common state and Artsakh being opposed to the phasal settlement, a proposal which was never eventually accepted. So that’s yet another proof that Arttsakh has been and is a full-fledged party. And therefore, those projects, approaches and proposals are not likely to be ever called to life whenever Artsakh says its no,” Mayilyan said. Asked to elaborate on his personal vision of the possible reconciliation with Azerbaijan, the minister pointed out to three likely scenarios. “To answer that question we need certainly to understand what Azerbaijan itself is prepared for. There are three main scenarios: a peaceful settlement, maintenance of the status-quo or, otherwise, renewed hostilities by Azerbaijan, which, inevitably, will meet our full-fledged reaction. We do not for now see any signals hinting Azerbaijan’s preparedness for a peaceful settlement,” Mayilyan said, underlining the Baku authorities’ strong opposition to Artsakh’s inclusion in the process. “We are, in any case, prepared for all the scenarios but would prefer a peaceful settlement - which implies dignified peace,” he added.